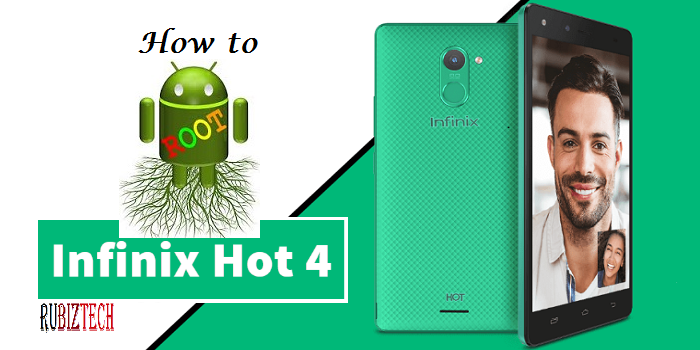 If you are looking for how to root Infinix Hot 4(X557),Infinix Mobility’s first smartphone to run XOS out of the box from the ‘HOT’ series? You are in luck as you can now easily gain root access on “a device that’s smart enough to keep up with you and beautiful enough to catch everyone’s attention without trying to.” The Infinix Hot 4 is powered by an MT6580 Quad Core Cortex, clocked at 1.3GHz and runs on Android 6.0 (Marshmallow). There are several important reasons to root Android devices. if you want to really unlock the full potential of HOT 4 —if you want to be able to control everything, backup everything, customize everything, and do all sorts of fun things like install custom ROMs and get Android Nougat ahead of the pack—you’ll need to root your Infinix Android smartphone. Maybe you have tried the latest version of KingRoot Apk to get root access but failed due to the unavailability of suitable root strategy. Fortunately, Team enochtekng have succeeded in porting the TWRP for Infinix Hot 4 X557 with full root access and in this tutorial, we will guide you on how to root Infinix Hot 4 X557 running XOS (Based on Android Marshmallow). After rooting your Infinix HOT 4 Android phone, it’s advisable to unroot before performing an OTA update or restoring factoring settings to avoid bricking it. USB Cable – for communication within the smartphone and PC. Google’s default recovery mode is pretty basic, but third-party recoveries–like the Team Win Recovery Project (or TWRP)–allow you to make backups, install ROMs, root your phone, and do a heck of a lot more. After downloading the TWRP recovery for Infinix Hot 4 above, unzip the TWRP zip file and flash the recovery image to the phone using SP Flash Tool. For how to flash (install) TWRP recovery for Infinix Hot 4, Check out this link for the instruction. There are several ways to unroot android. Can I know the app you use in rooting? This will help me give specific direction on how to unroot your device. Thank you that’ s a brilliant new link worked fine. Am looking forward to doing it tomorrow. Hi Rubiztech. I have an infinix hot 4 lite and I’ve just realised that apps can’t be moved or installed to memory card. Any suggestions? i am unable to root ma infinix X557 hot 4 lite so please help me to root it without PC using the latest version of kingroot..
Hello, you won’t be able to use rooting apps to root your infinix hot 4. It’s only by flashing custom recovery that you can root it for now. However, when a simpler rooting technic for infinix phones comes out, I will let you guys know. Cheers! Please is it necessary for me to do the TWRP thing? Can’t I just go ahead and boot my phone to recovery and install super su? Android version 6.0 and above don’t have easy way to root except through flashing custom recovery. But after the flashing, will I lose my data?? If you don’t do a complete data backup, you will loose your data. why my recovery still same?